Marc Warner is a shareholder in the law firm of Warner, Sechrest, & Butts. As a personal injury lawyer, Mr. Warner is a champion of the rights of victims of negligence, medical malpractice, defective products, toxic exposure, and lack of security. 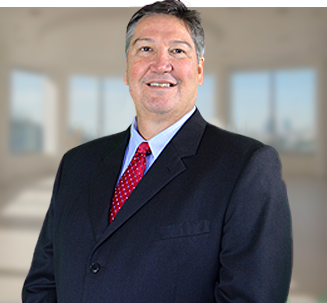 His exemplary educational background, military service, and legal experience as a trial lawyer have made him an invaluable resource to the clients he serves as well as to the firm. Mr. Warner attended the University of Florida as an undergraduate, obtaining a Bachelor of Science degree in Computer Information Science in 1986. In 1987, he completed his studies at the Naval Aviation Officer Candidate School and was recognized as a Distinguished Graduate, finishing second in his class. Upon graduation, Mr. Warner was commissioned as an Ensign to the U.S. Navy. While in the Navy, he served from 1987 to 1991 as a U.S. Naval Air Intelligence Officer with Fighter Squadron 213 (VF-213) based at the Miramar Naval Air Station in San Diego, CA. While with VF-213, he was also deployed on the U.S.S. Enterprise. He attended TOPGUN, the navy fighter weapons school, and became an instructor in air warfare and counter-terrorism at the Navy and Marine Corps Intelligence Training Center in Dam Neck, VA from 1991 to 1994. From 1994 to 1995, Mr. Warner worked as an Intelligence Briefer and Officer to the Commander in Chief of the U.S. Atlantic Command and U.S. Atlantic Fleet in Norfolk, VA.
Mr. Warner then made a decision to attend law school and become an attorney. He attended the University of Florida, Frederic G. Levin College of Law, and received his Juris Doctor with high honors in 1998, graduating in the top 5 percent of his class. Mr. Warner further displayed his leadership abilities and superior grasp of the law by serving as the Senior Symposium Editor of the Florida Law Review. Before graduation, he was inducted into the Order of the Coif, which is an honor society for students whose grades and additional activities during their law school tenure place them in the top 10 percent of their graduating class. He is currently a member of the American and Florida Bar Associations. From 1998 to 2001, Mr. Warner worked as a civil trial lawyer for Fowler White in Tampa, FL, where he honed his litigation skills. Subsequently, Mr. Warner became Assistant General Counsel for medical compliance in human subjects research and animal research at the University of Florida from 2001 to 2004. Mr. Warner’s prior legal experiences as a trial lawyer and as Assistant General Counsel to the University of Florida have prepared him well to serve clients in the areas of medical malpractice, negligence, and tort litigation. He and his fellow attorneys at Warner, Sechrest, & Butts, P.A. are committed to giving back to their community by assisting those who are unable to afford legal counsel. In recognition of this commitment, Mr. Warner and the firm received the Supreme Court of Florida Chief Justice Pro Bono Award in 2012. Marc Warner’s academic accomplishments, military service, and professional experiences clearly demonstrate his superior understanding of the law and his ability to take on serious responsibilities. Mr. Warner is a formidable advocate on behalf of all his clients. His accomplishments establish his trustworthiness and his commitment to excellence in every task he undertakes. He brings no less than the utmost professional excellence to the firm of Warner, Sechrest, & Butts, P.A. and its clients. Mr. Warner is admitted to practice law in the state courts of Florida as well as in the U.S. District Court for the Middle District of Florida. He is a preeminent Gainesville Personal Injury Lawyer. Call Marc Warner today at (352) 373-5922 to learn more about how he can help you.